Green Park is the best JK-8 private school in south St. Louis county. 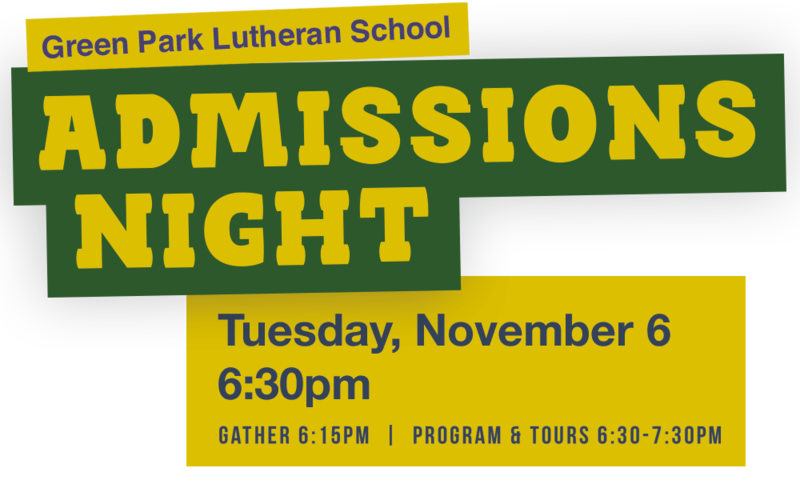 Admissions Night is a chance to stop by, hear from our parents, and learn why. From our individualized approach to early childhood learning to teaching our upper school students to be leaders, find out more about our program. Be part of a school where you and your child are known. Whether you’re just starting school or looking to make a change, welcome to Green Park Lutheran School. Planned activities available in the gym for younger children in attendance. RSVP appreciated, not required.